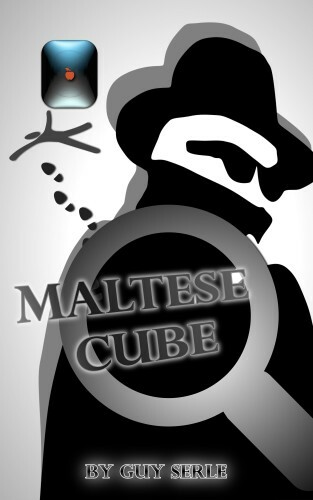 OK, in the VERY FIRST thing I wrote for my site the oldmanlion.com for my eventual new book, I mentioned a story I wrote called the Maltese Cube and that I wasn’t particularly proud of it. Meanwhile back in the real world, I now have it in Apple’s iBook Store, in Amazon’s Kindle eBook Store, and now available as well as a paperback through Amazon. Karl Madden of the Mac & Forth podcast and I are rewriting it as an audio play that should be released at some point this year as a podcast. So what happened? I’ll tell you what happened. I decided to get a feel for self-publishing and thought that I would blow the dust off the Maltese Cube and see how hard it was to get it published. Turned out for the most part to be pretty simple. Amazon’s Kindle service for self-publishing is really easy to use. Their partner CreateSpace for physical books is also delightful to use and they include pretty much any and all tools you would need to do so. Apple’s tools are much more robust, but the overall experience of getting into the iBooks Store is frankly a pain in neck. A little more about that another time, this is supposed to be about why I haven’t been working on my new book, The Old Man and the Lion. Originally I figured it would be a “one and done” kind of thing for the Maltese Cube. A little editing, get it into some stores, do a bit of online promotion, and then back to doing the book I really want to finish. Except that’s not what happened. It turned out a few people really liked the Maltese Cube and they promoted it as well. That in turn led to some cross-promotion on a few other podcasts. THAT then led to the suggestion by Alex Fox (verybritishview on Twitter) that I turn it into an audio drama. Which led to Karl Madden and I ripping the book apart to make it a script. We’re almost done with the script and we’ll soon be asking people to donate their time and voice talents to record it. It will be twelve chapters long and my plan is to put out an episode every other week with interviews in between of the people involved in putting the whole thing together. So, 24 weeks of audio podcasts in addition to all the editing, layering of additional tracks, sound effects, music, and all the rest of the things involved in putting together a project like this. So even MORE time away from writing my new book and you know what? That’s OK.
I’m not going to become wealthy writing books. I enjoy writing for its own reward and like the weekly MyMac Podcast that I do with GazMaz, it’s the things I do that I enjoy as compared to the things I do to survive that matters. Even if I’m not writing my new book, I’m writing. The Maltese Cube which I so maligned in the very first post I made has become like an old friend that I had forgotten about that suddenly showed up at my front door with a nice bottle of wine. The Old Man and the Lion will be completed one day. I will make it available in every way I can. I just need to finish this glass of wine with an old friend first.